At The Window Workshop, we are manufacturers and installers of quality uPVC doors. Available in a wide range of different styles, features and looks from you to choose from, our uPVC doors will keep your home warm, quiet and safe. We have a wide range of uPVC doors available for you to choose from. Among the types of uPVC doors we offer include composite doors, residential doors, french doors, patio doors and bi-folding doors. These different types of doors are available in a range of different finishes, glazing options and security features. This means that when you have your new door installed by us you can be rest assured that you are receiving the ideal door tailored to the needs of you and your home. 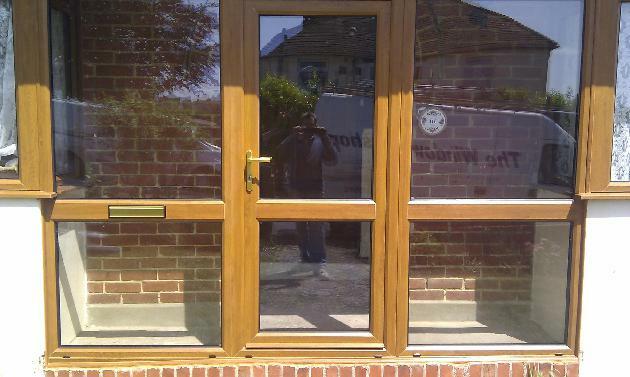 Our installers are experts in the installation of uPVC doors and are highly experienced. Furthermore, we ensure that we deliver an excellent service to our customers by being tidy, clean and respectful at all times. We are confident that our installation service is second to none and fantastic value for money. That being said, we are also more than happy to supply our uPVC doors to trades or DIY enthusiasts looking to make the installation themselves. If you're interested in having a new uPVC door supplied and/or installed, we'd love to hear from you. Regardless of what stage you're at, if you're looking to ask a professional for some advice or would like to arrange an appointment where we can visit and supply you with a free, no obligation quote, please get in touch. To contact us, you can either give us a call on 01273 589066 or send us a message via our contact form where we will get back to you as soon as possible.